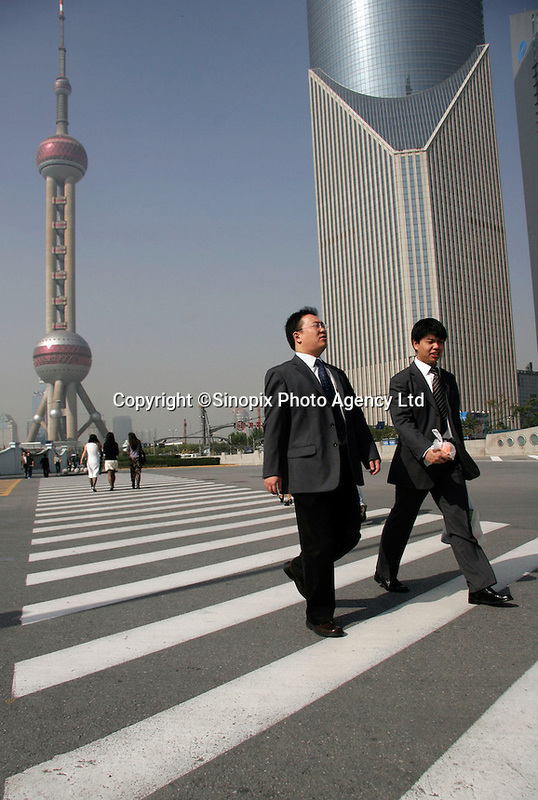 Pedestrians walking in the Pudong Financial District of Shanghai, China. One of China's policy banks, the China Development Bank, has plans to grant 30 billion RMB (Euro 3 Billion) in loans to Pudong as a part of the country's 11th Five-Year Program. .